For fun, and to make someone’s year a little better, I recently rebound a friend’s SF novel, converting the paperback edition into a hardcover binding. With my bookbinding skills it’s a fairly simple and straightforward process, but not a cost-effective one (so don’t ask me to rebind your favorite paperbacks). The result is usually very satisfactory and striking, and makes for a nice little present when I am in the mood to do something different from my usual conservation work. Which, you know, is cool and all. But consider: making that book, that physical object, took me maybe an hour and a half actual labor time. But I’m sure that it took my friend hundreds, if not thousands, of hours of labor to write that book. To conceptualize it. To make notes. To research. To stare at the blank computer screen in abject terror. To write the first draft. To edit. To stare at the words there in horror and disgust at how horrible her writing was (I assume this happened anyway, since almost every serious writer I’ve known goes through this multiple times with any book). To write the second draft. And then the third, after getting feedback from friends and editors. Et cetera, et cetera. But what her co-workers thought was “pretty darn cool” was a simple physical object. Now, I’m sure that if you asked them, her co-workers would say that her book — the written words — was also pretty darn cool. And maybe some of them have even read it. ** Still, the fact remains that for most people written work is mostly an abstraction, one which takes real effort and time to understand and enjoy. Whereas a tangible artifact like an artisanal hardcover book can be handled and appreciated as reality. People are funny, aren’t we? **A confession: I haven’t yet myself, since I am still in the middle of doing battle with St Cybi’s Well, and I just can’t read long fiction when I am trying to write it, since it just messes up my own writing. But you can bet I will when I finally finish this book. Lots of news from the world of my life. Most of it good. I’ll share in a few days. Recently I’ve been really into old maps made by medieval explorers. I thought it would be fun to use their historical design style to illustrate our current adventures into unexplored territory. 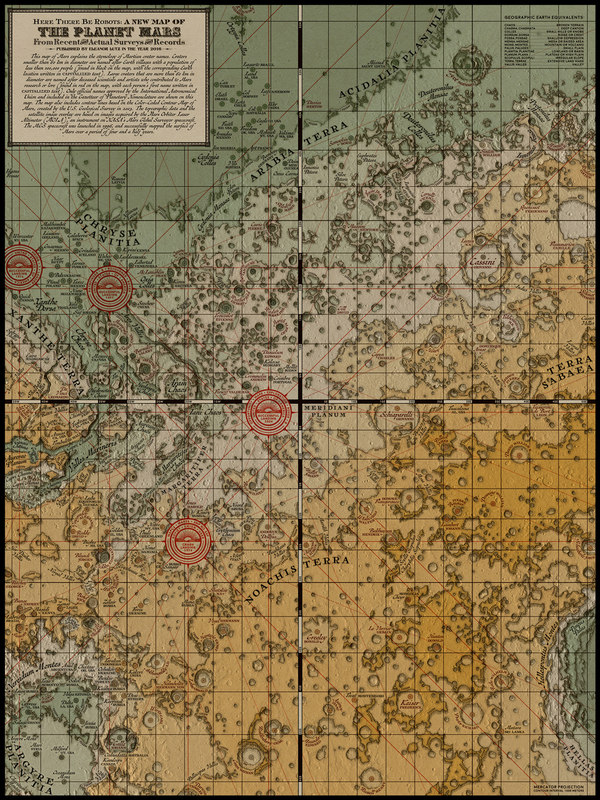 So here’s my hand-drawn topographic map of Mars, complete with official landmark names and rover landing sites. You can even support the artist and buy a copy! Quick, before they’re all gone! Go ahead, take a look for yourself. It’s been a couple of months. Let’s have a bit from the current chapter I’m working on. It was full dark before he passed through Llangynog again, and headed up the Tanat valley. It was just past the first quarter Moon, and the sky was clear and brilliant. 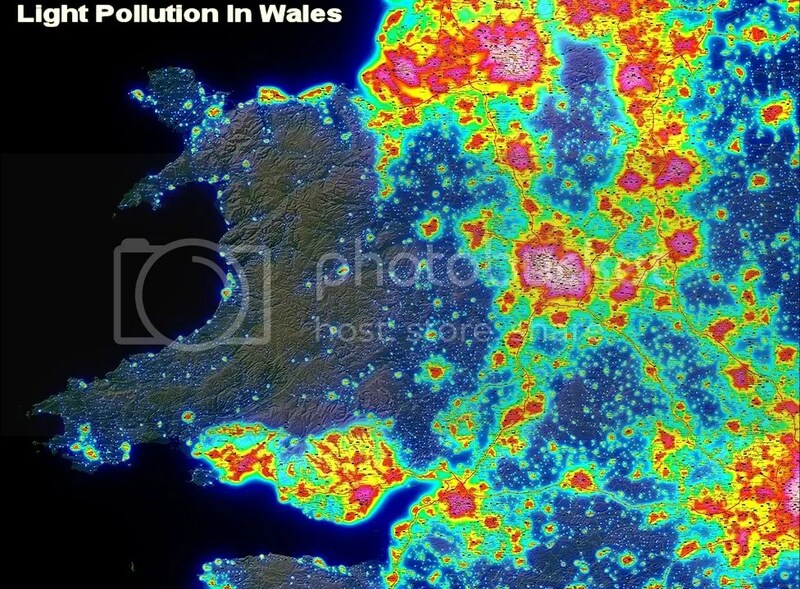 One of the things he always loved about visiting Wales was that the light pollution was minimal and he could see the stars almost as well as when he was on a shuttle run. About halfway up the valley to Pennant Melangell he stopped the Rover, shut it off and got out. He stood there, leaning back against the cold metal and glass, and looked up, letting his eyes adjust. Slowly, more stars emerged, and he was able to trace the passage of several satellites in low orbit. There were plenty that he couldn’t see from the ground, ‘darks’ which were in the service of different intelligence agencies and military forces, but he knew they were there, watching, listening, perhaps even waiting to hunt on command. Was this the same thing? He could pull out his hand-held, call up the appropriate app, and hold the camera pointed at the sky, and it would show him the satellites his eyes couldn’t see. But to do so would necessarily block his direct vision, his direct experience of the real sky above. He stuck his hands in the pockets of his jacket to protect them from the cold, and relaxed a little as he leaned against the vehicle. For now, he’d just take in the whole of the now-visible Milky Way as it arced high above.